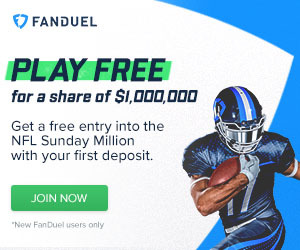 Well, the off-season is officially here, but don’t tell that to the staff at FantasyKnuckleheads.com. We are continuing to crank out content in an attempt to get you ahead of your competition as you plan for the 2012 season. The first step in attempting to do that is to try to help you identify some sleepers heading into next year. The first one that we will highlight on the IDP side this off-season is none other than Jasper Brinkley of the Minnesota Vikings. There was a report this week in the Minneapolis Star-Tribune that suggested the Vikings are likely to move on from their long-time starting MLB E.J. Henderson this off-season. With Henderson turning 32, having a lot of mileage on his legs, and having an injury history this seems to make some sense. Still it will be a bit painful and a significant transition period for the Vikings. There will be no shortage of good MLB candidates in free agency to replace Henderson if the Vikings choose. Players like Curtis Lofton, D’Qwell Jackson, David Hawthorne, and Stephen Tulloch are all free agents and could be penciled in. However, the Vikings paid Chad Greenway big money and are not very likely to spend more big money on another LB. For that reason there is a serious chance for Jasper Brinkley to step up and step in as the new starting MLB in Minnesota. Now make no mistake, Brinkley has his warts. He is coming off of major hip surgery and missed the entire 2011 season. This would normally be a big red flag, but the Vikings have stuck behind their players like this in the past. E.J. Henderson himself was allowed to come back and excel after his own gruesome femur injury a couple years back. This works in Brinkley’s favor. Brinkley also has the problem of being a big, thick MLB who is a great downhill tackler between the hashes, but struggles a bit falling back into coverage. This, again, mirrors Henderson. They are similar in size and style, but Brinkley is younger and cheaper and can provide similar capability. When you look at what Henderson has been able to do in his career as the starter at MLB in Minnesota, the position looks promising. Henderson has averaged 6.6 tackles per start, which translates to roughly 106 tackles per 16-game season. He also has four 100 tackle seasons in the past six years and has topped 100 tackles each year that he has played in 16 games over the past six years. Brinkley could have similar success. As a very raw rookie in 2009, Brinkley gathered 21 tackles in four starts. With a bit more experience and a whole off-season to get accustomed to things, Brinkley could easily step in and approach a 100 tackle season. That is not too shabby when you consider how far off of people’s radar Brinkley is after missing this season and not doing much in his first two years. He is a nice dynasty league stash and is an IDP sleeper to look at heading into the 2012 season. With long-time defensive stalwart E.J. Henderson likely leaving town, keep an eye on his potential successor Jasper Brinkley.